Explore Edinburgh’s beautifully preserved Old and New Town and discover an incredible array of historical and cultural attractions. 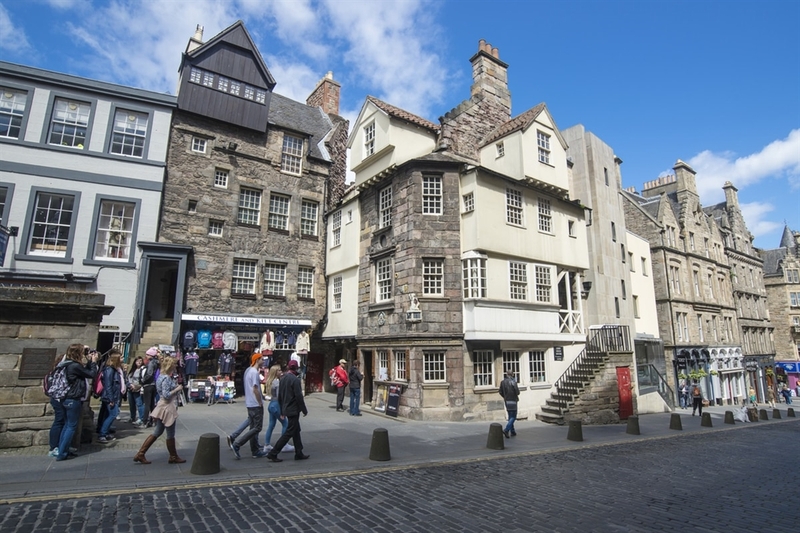 Edinburgh's Old Town is a labyrinth of cobbled streets, narrow alleyways and hidden courtyards, all amazingly well preserved and steeped in the city's history. At its centre is the Royal Mile, a remarkable street of Reformation-era tenement buildings leading from the seat of Edinburgh Castle on Castle Rock down to the grandiose Palace of Holyroodhouse. St Giles' Cathedral boasts a magnificent vaulted ceiling and ornate tombs, while the recently refurbished National Museum of Scotland on Chambers Street is home to a wealth of rare and priceless artefacts. Delving below ground, a tour of Edinburgh's vaults reveals a subterranean world of forgotten chambers that once housed the city's poor. 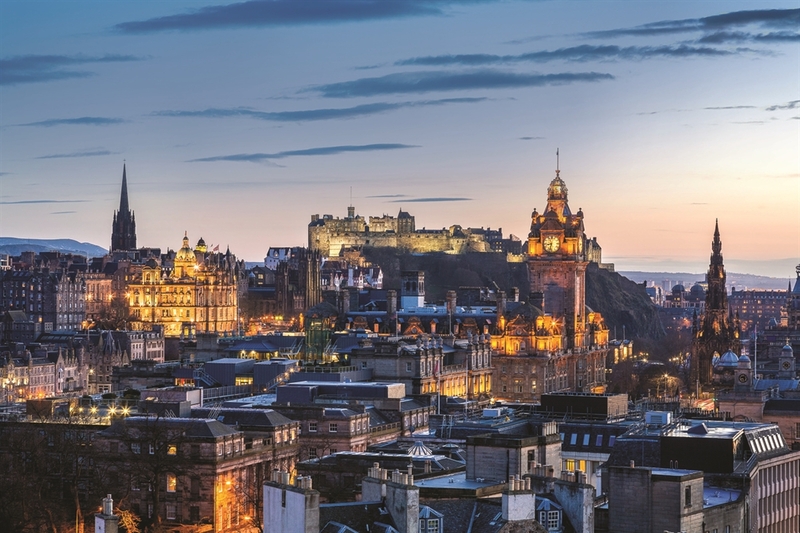 While the Old Town is a fascinating destination at any time of year, it is particularly captivating in August, when performers flood the austere streets and the town comes alive with the sights and sounds of the Edinburgh Fringe and Festival. Inspired by the lofty ideals of the Scottish Enlightenment, the neat and ordered grid of the New Town provides an elegant contrast to the labyrinthine design of the Old Town. Its broad streets boast spectacular neoclassical and Georgian architecture, with a wealth of beautiful buildings perfectly preserved since their construction in the 18th and 19th centuries. Visitors are treated to a glimpse of how the city's upper classes lived in the 18th century on a trip to the exquisite Georgian House in Charlotte Square, open from March to November. The recently refurbished Scottish National Portrait Gallery, just a short walk away on Queen Street, houses a magnificent collection of paintings and photographs of Scotland’s most iconic figures, from Mary Queen of Scots to Sean Connery and beyond. The upmarket George Street is filled with sophisticated designer shops and chic bars and restaurants, while neighbouring Dundas Street is home to galleries, antique shops and independent boutiques, all located in lovely Georgian buildings. 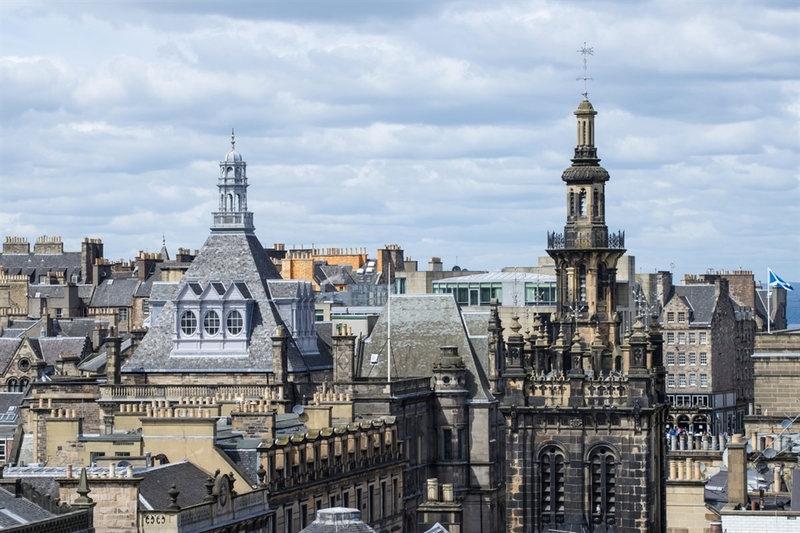 Combined, Edinburgh's New and Old towns have UNESCO World Heritage status. VisitScotland / Kenny Lam, all rights reserved. Groups of sightseers outside John Knox House on Edinburgh's cobbled Royal mile. The architecture dates from the 1490s with upper storeys overhanging. VisitScotland / Kenny Lam, all rights reserved. Groups of sightseers outside John Knox House on Edinburgh's cobbled Royal mile. The architecture dates from the 1490s with upper storeys overhanging. Copyright: Anthony Brown Skyline of Edinburgh at sunset with HDR processing. Cityscape include Edinburgh Castle, Balmoral Hotel Clock Tower and the Scott monument. VisitScotland / Kenny Lam, all rights reserved. A view over the rooftops of Edinburgh's Old Town, with many rows of chimneys and a varied landscape of grey slate roofs VisitScotland / Paul Tomkins, all rights reserved. 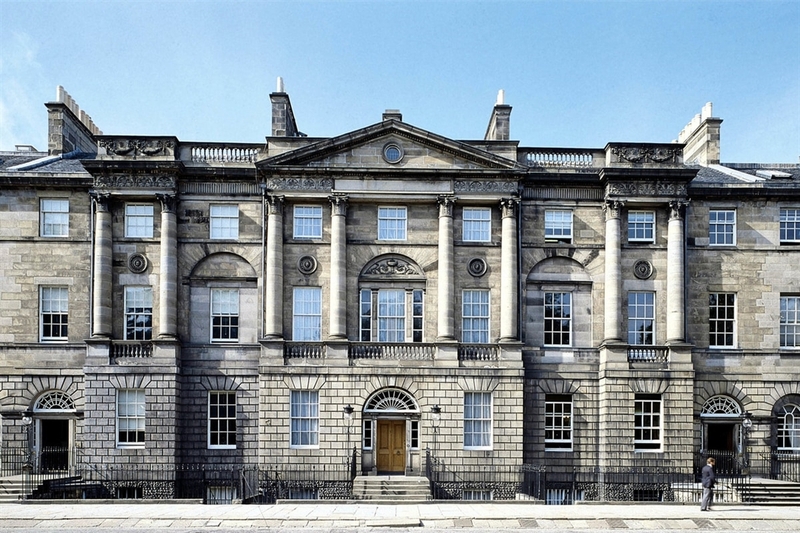 Bute House, on Edinbrugh's Charlotte Square, is a beautiful example of Georgian classical revival architecture typical of Edinbrugh's New Town.